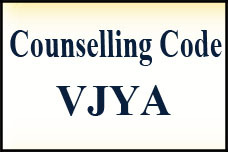 The training and placement cell makes vijaya a best placement engineering college, for bearing the crucial responsibilities, which are, preparing the students to face the interviews, to tackle different job roles, and providing them with impeccable job opportunities, from the reputable companies in various sectors and more over Students are placed more then 800+ in Campus placements. The training cell features highly knowledgeable faculty, who are well aware of the requirements of the global and local corporate companies. 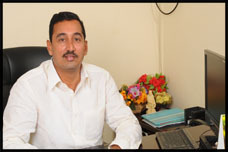 They also know the traits of the public sector firms, and this knowledge proves highly beneficial for the students. These highly skilled and talented faculty train the students, so that they achieve the levels which are expected by the firms. Numerous workshops, training sessions, seminars, etc. 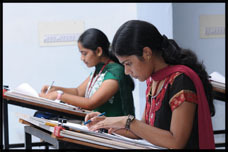 are conducted to make the students well versed in the related aspects. 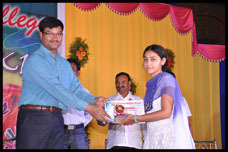 Special emphasis on the communication skills is provided, so that the students perform immaculately in the interviews, and these skills are even useful to prosper in the workplace. 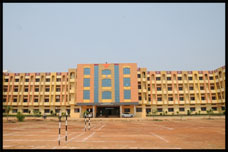 Entrepreneurship cell is established in the college, to train the interested students to step into the corporate world. The students are provided with expert coaching to help them gain the required entrepreneurship skills, which are very important for organizing the start-up companies. 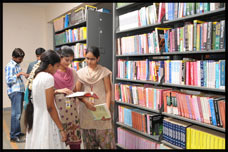 In addition to the academic skills, the students should be perfect in management, finance and judgment. 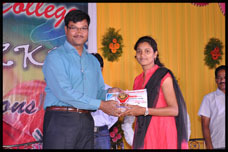 We teach them with all the required aspects by providing an excellent classroom experience. They are also offered with workshops, wherein, they are trained to cope up with the realistic conditions. This mode of coaching provides them with excellent practical experience, and makes them ready to face and surpass the odds in the business world. Due to the fine coaching offered at our entrepreneurship cell, the students can flourish in the start-up businesses, which not only leads them to bright future, but provides employment to a number of graduates and non-graduates. The training we provide only makes sense when our students get into the reputable firms, and they earn respectable job roles. And this is only possible by conducting prestigious placement drives in the campus, which feature the renowned global and national companies. The placements team works in coordination with the training professionals, and provides the requirements of various prospective firms, so that the students are provided with the training sessions accordingly. This trait has earned numerous successes for our students and us, and many of our graduates are placed in the prestigious firms. This wields them with bright futures, and they can prosper in the careers with exceptional zeal. Software – IBM, TCS, Wipro, Genpact, Capgemini, and more. Hardware – HCL, Hindware, Black & Decker, etc. Services – Just Dial, Web Techies, etc. Finance – Unicon Investment Solutions, etc. Others – Modi Care, Welspun, and more. The training and placement cell is phenomenal in turning the students into impeccable engineers, and building their careers.